A warehouse in Tianjin, at one of the largest ports in the world, exploded on August 12th, 2015. The blast had the force of 21 tons of detonating TNT, killing over 100 people as well as ripping apart warehouses, cars, and other cargo. Tianjin is a city of 11 million in northern China, on the coast of the Yellow Sea and a one-hour train ride away from Beijing. If you had to pick a few cities to represent globalization, Tianjin would be a compelling choice. It’s home not only to the 10th largest port in the world, but also to offices of over three hundred Fortune 500 companies, and to factories that build cars, airplane parts, and mobile phones. That impressive economic engine ground to a halt in a single night when a storage space full of hazardous materials caught on fire and subsequently exploded. No one could have anticipated the blast and its effects. Businesses initially feared the worst: Insurers faced a potential $2 billion in claims. Next, they revised the figure up to $3 billion. As it currently stands, the total damages are estimated to be in the range of $6 billion, making this explosion the largest disaster in commercial maritime history as measured in monetary damages. The Tianjin disaster was an equally big deal for companies that rely on products and supplies coming from the city. The explosion destroyed more than 10,000 Toyota, Hyundai, and Range Rover cars and prevented the shipment of others from nearby factories. Additional impacted companies ranged from John Deere to the drug company GlaxoSmithKline. Today, port operations are still hindered by the accident, and companies are still figuring out how the disaster is impacting their supply chains. Since over half a year has passed, we decided to investigate the effects of the Tianjin explosion on global trade, and whether business as usual can return after this accident. We find that its impact was not as devastating and long-lasting as people initially feared. How fragile is global trade? To understand the impact of the disaster, it helps to appreciate the relative ease of world trade. For decades, shipping companies have built larger and larger ships to drive down the cost of transporting cargo. Terry Cummings, the Vice President of Roanoke Trade, points out that rates for cargo insurance are as low as they’ve ever been. 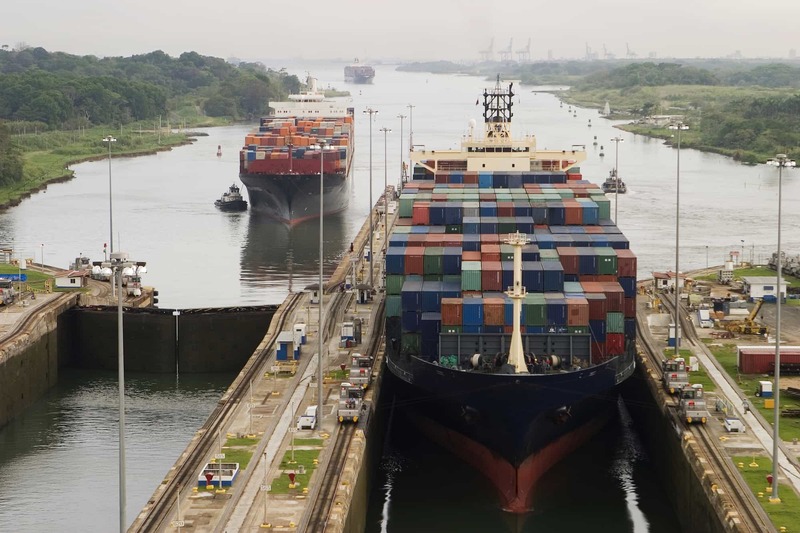 That’s largely because significant damages are rare, affecting only 1% or so of cargo according to the International Union of Marine Insurance. 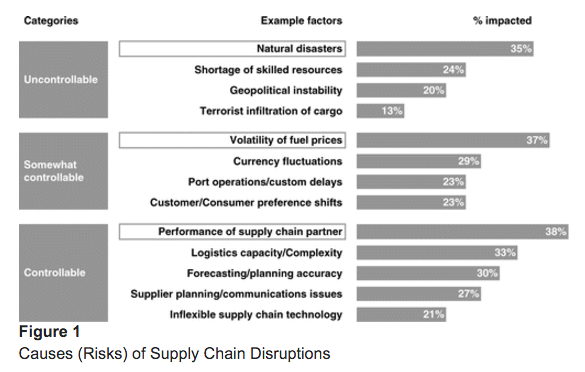 It’s not a theoretical concern for companies to be hurt by supply chain disruptions. For example, when an earthquake struck Taiwan in 1999, Apple had to deal with semiconductor delivery delays. It responded by shipping customers slower computers that used older components. When customers complained, the company was forced to offer refunds, and customers canceled their orders. Large companies that can’t prepare for supply chain interruptions can see their stock price decrease by more than 30%. So beyond the initial destruction or delayed delivery of products that were in the port on August 12, it’s these indirect consequences of Tianjin that businesses are still trying to understand. “Supply chains are not brackets like in March Madness,” Wayne Caccamo, the Chief Marketing Officer of Resilinc, tells us. “Supply chains are hairballs.” Most companies have many suppliers that get parts from multiple, smaller suppliers who each rely on different (or possibly the same) suppliers. For companies with these deep, intertwined supply chains, there’s a lot of potential to be surprised by the effects of Tianjin. This is why Tianjin could have an outsize impact on how trade and business operates in the future: worries about uncertain ripple effects from disasters like Tianjin challenge the notion of a safe and stable trade system that businesses rely on. It’s also made many in the shipping industry suspect that their industry is riskier than they realized. The Tianjin explosion was so large that it could be seen from space, and for people who live and work at the port, it will take years for normalcy to return. But in terms of economic impact, despite the intense concern among industry insiders, there are also signs that Tianjin’s effects are unremarkable. Resilinc, which helps companies understand potential risks in their supply chain, has estimated that the blast caused $9 billion in “value-at-risk” or “revenue impact.” These are big numbers for the cargo insurance industry. But as far as major disasters go, Tianjin is tragic but not chart-busting. Resilinc’s estimate of the disruption to supply chains ($9 billion) rank only Tianjin as the 3rd most damaging disaster of 2015—two typhoons that hit Taiwan, Japan, and the Philippines rank 1st and 2nd after causing $10-20 billion in value-at-risk. The trade publication Artemis also notes that in spite of the explosion, economic losses from disasters were below average in 2015: only $85 billion compared to $113 billion in 2014 and a 10-year average of $192 billion. Rates for cargo insurance and reinsurance have continued to decline since Tianjin. Here are a few reasons why the Tianjin had a relatively light price tag despite the devastation it caused. First, northern China is one of the best-served areas in the world when it comes to logistics. Tianjin is a massive port that moved 13 million TEUs of cargo in 2013; not far away are the ports of Dalian, which moved 11 million TEUs, and Qingdao, which moved 15 million TEUs. Although shipments out of Tianjin were severely affected immediately after the explosion, volume increased at nearby ports of Qingdao and Dalian. And even after the Port of Tianjin was partly shut down for weeks; even after the Chinese economy has slowed; and even after the government adopted new regulations, the container throughput out of the Port of Tianjin grew by 0.34% from the previous year. The system adapted. Finally, consider that big, discrete events like port explosions may not be as damaging as more mundane challenges. According to research conducted by Accenture, businesses consider delays to poorly-performing suppliers to be a greater risk than natural disasters. Also high on the list of concerns: currency fluctuations, volatility of fuel prices, and high logistics complexity. According to Resilinc, mergers and acquisitions are more disruptive than natural disasters. Explosions are disruptive and nearly unpredictable, but in the aggregate, companies may be more affected by small, everyday delays to operations. These are things that they can better control anyway. Tianjin is a reminder that major accidents and natural disasters can throw off businesses’ lean, globe-spanning operations. In fact, more damage is caused by many small, everyday delays that lead to death by a hundred paper cuts. We still don’t know the full scale of the damage from the blast. But all signs indicate that the explosion’s effects were temporary, and that recovery will be swift. Terry Cummings of Roanoke Trade points out that insurance rates may change once insurers absorb the full impact of the losses from Tianjin. We’ll see further effects after reinsurance contracts are re-negotiated, which happens on an annual basis. We can also expect insurers to make other changes to limit risk. In this case, it could mean that companies reduce their exposure to warehouse accidents. Things won’t return to the state before the blasts, at the very least because the central government has handed down new regulations to prevent these disasters from happening again. Given how high-profile this blast was, we should also expect actual enforcements of these regulations to tighten. We nonetheless predict that the ultimate story on this explosion is an optimistic one: Trade always finds a way. Global trade is largely resilient after all. Even after multiple disasters that cost over $10 billion in 2015, most of the world got the goods that everyone expected.